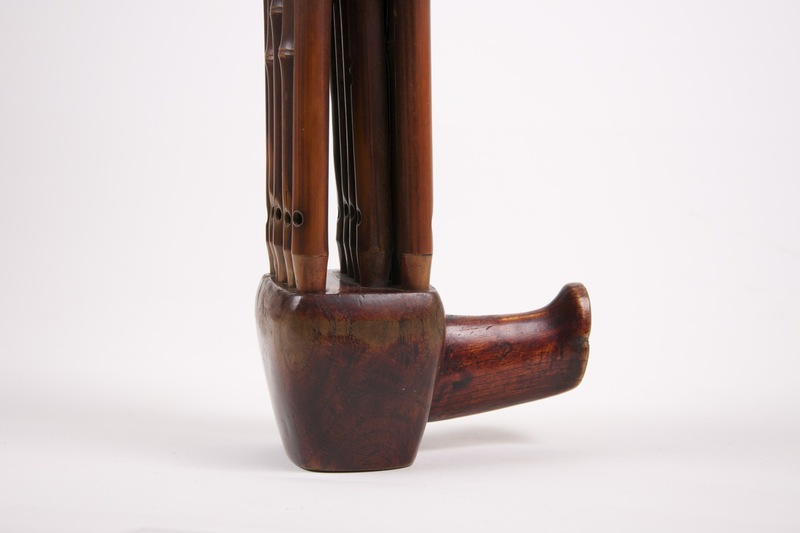 The sheng is a free reeds instrument, mouth organ. 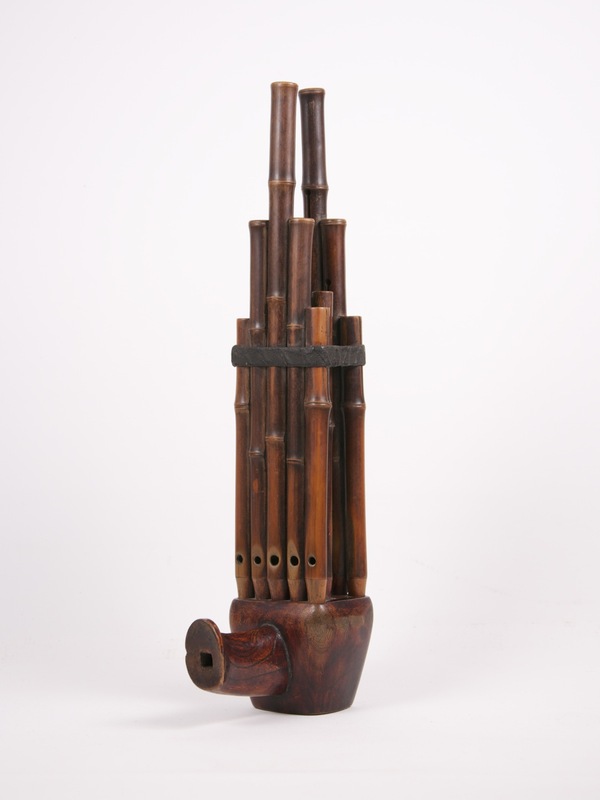 The fangsheng (literally "square sheng") is mainly found in Henan province of China, this model is less popular than the circular sheng. 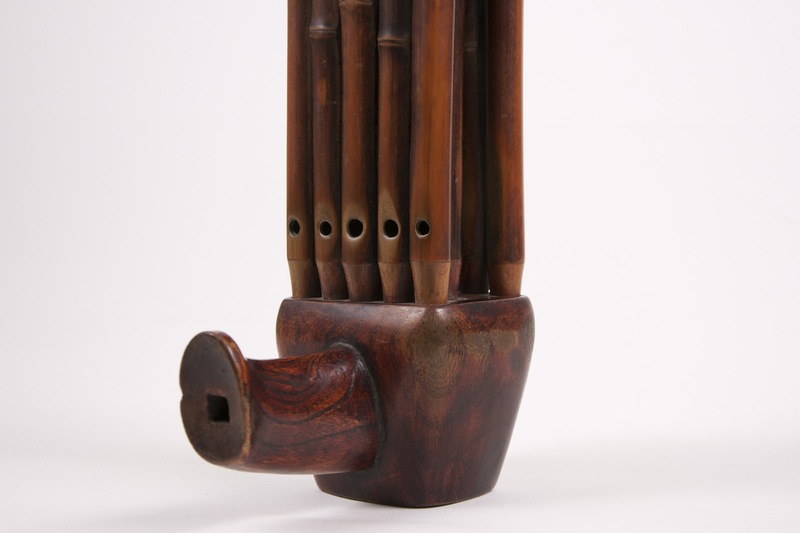 The pipes are set in three straight rows or 5 pipes, 4 (inside) and 5. 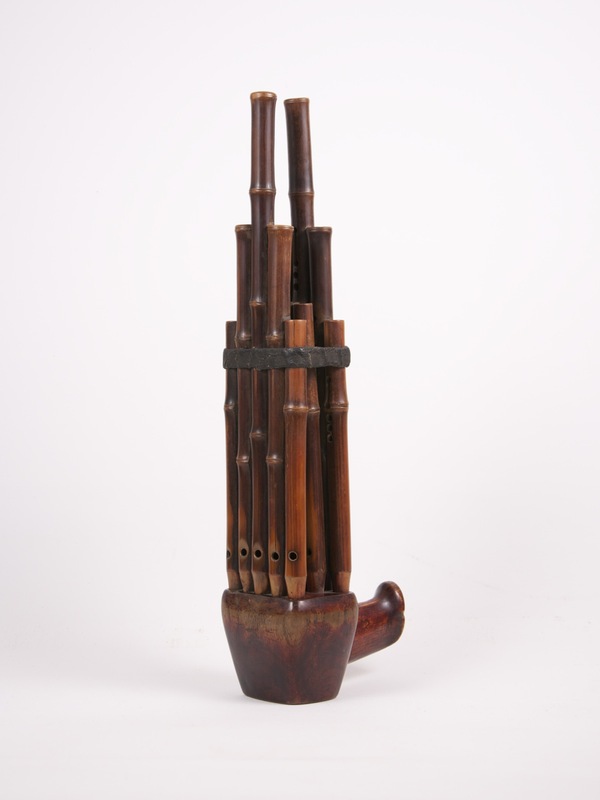 Yet this arrangement of pipes is much older than that of the circular sheng. 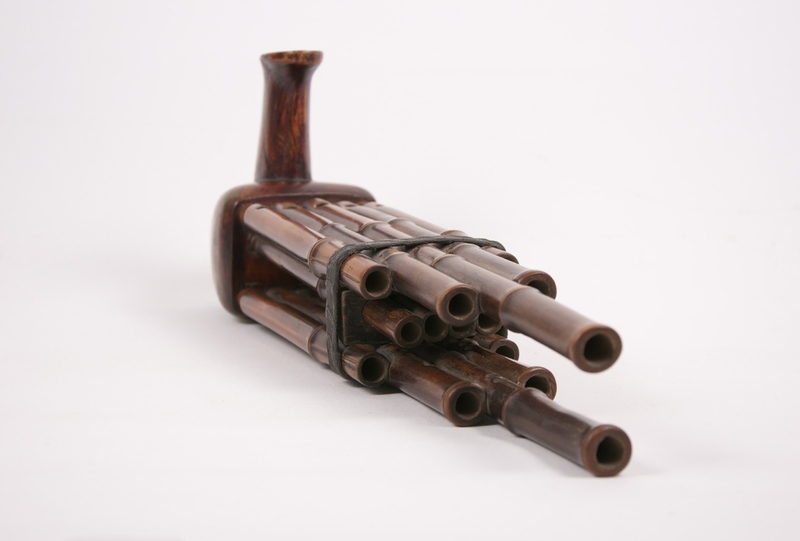 Good condition, a few fine cracks in the pipes.